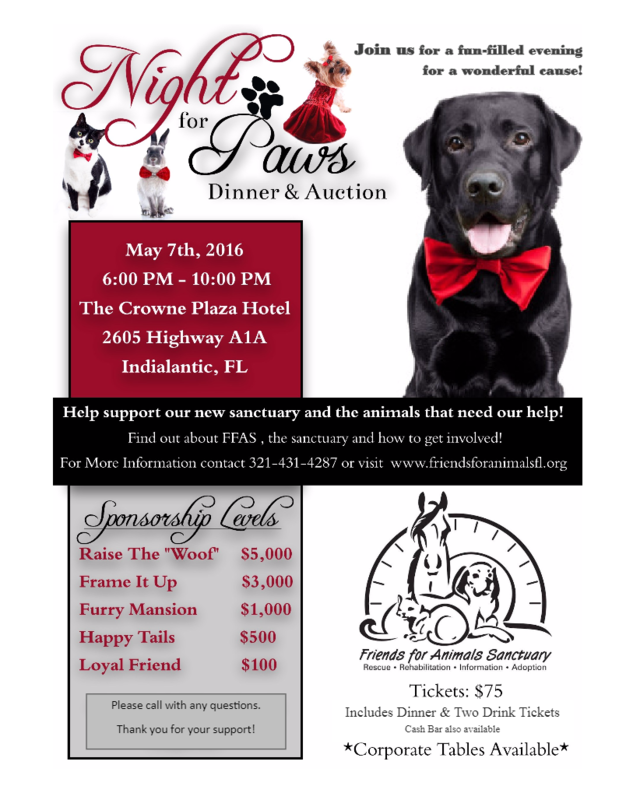 Join us to celebrate Night for Paws on May 7th, 2016. The Friends for Animal Sanctuary is a passion of ours and we hope you will come out on May 7th to show your support. Here at In Home Pet Sitters, we value our community. We want YOU to have the opportunity to attend the Night for Paws: Dinner and Auction. The event is held at the Crown Plaza in Indialantic, Florida. It runs from 6:00-10:00 p.m. If you would like an opportunity to win a pair of tickets, enter through the form below.